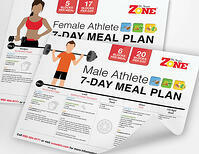 Gain access to any of our Free Zone Diet Resources by filling out the form below. 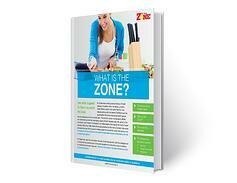 Before getting started on the Zone Diet, Dr. Sears believes you should know what the Zone really is. Dr. Sears breaks down the elements of the Zone and answers all of your questions. Getting in the Zone doesn't have to be difficult. Here are 8 simple rules to incorporate into you routine that will help you on your health and wellness journey. With our reliance on convenience foods and take-out its even more important to know what choices to make when dining out. 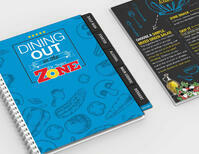 Learn how easy it is to stay in the Zone while dining out. Fueling for performance requires knowing what to choose and when to have them. Learn how to properly fuel your body to get that competitive edge you've been looking for. 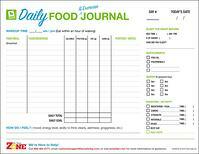 Studies show that keeping a food journal increases weight loss success. This journal also tracks hunger levels, which is one of the easiest ways to determine if you're in the Zone. 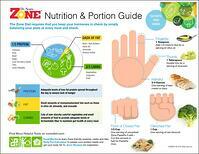 Learn how to balance your plate and how to measure your food. 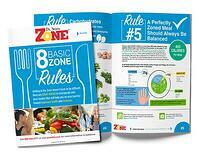 A Zone balanced meal is the key to keeping your hormones in check and hunger at bay for up to 6 hours.